The NSCD Competition Center has training programs for racers of all abilities. For athletes wanting to learn how to race at the elite level, the NSCD trains athletes aspiring to reach the Paralympic Games. Whether you are interested in alpine, snowboard cross or cross-country ski/biathlon, the NSCD has a program that will fit your needs. The competition program is based on the same teaching principals used for able-bodied competitive ski racing organizations. It involves on-snow and dry land cross-training that includes biking, aerobics and weight lifting. The NSCD coaches train athletes with visual impairments, amputations, paraplegia, spina bifida, cerebral palsy, multiple sclerosis, post-polio and congenital disabilities. For athletes wanting to learn how to race at the elite level, contact the NSCD. Alpine skiing and snowboarding are available for beginner through elite level racers. We begin the season with building your foundation with edging and balance drills, then progress to speed and gate training and preparation for alpine, cross-country ski and snowboard competitions. The program includes use of the Fraser Valley Recreation Center with customized preparation for the season’s races and strength training. Our developmental level introduces beginning skiers and riders of all ages to the sport of racing through camps and level 1 races. The elite level trains competitors for upper-level races and supports them at races across the nation. The elite level program also hosts training sessions for international teams, including those from Germany, Great Britain, Finland, New Zealand, Australia, Canada, Sweden, Japan, Iceland and South Africa. 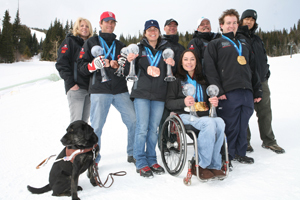 The NSCD Bridge Program is designed to assist an athlete’s transition from recreational skiing to race training with the NSCD Competition Program with coaching from past Paralympic athletes. 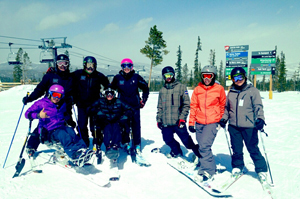 Athletes receive support in a development program that will potentially feed the NSCD and U.S. Adaptive Ski or Snowboard Teams. Instructors assist an athlete’s transition to full independence so they may enjoy the hill with their loved ones. The NSCD began a competitive cross-country and biathlon program in winter of 2010/2011. This program experienced immediate success by producing a Women’s Sit 3-time National Champion who went on to also win a World Cup Bronze medal in biathlon. 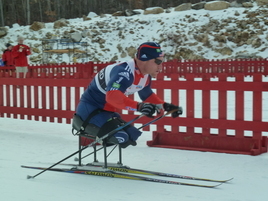 This immediate success also attracted other elite adaptive Nordic skiers who represented the United States in the 2011 World Cup races in Norway. 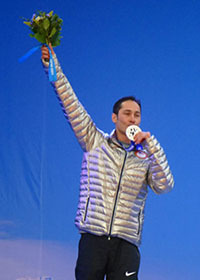 The U.S. Paralympic Program, in collaboration with the NSCD, also hosted an athlete development camp in 2011. Program success is due to the extensive cross-country skiing available to athletes who desire to train at the highest level. The Fraser Valley is at nearly 9,000 feet of elevation and has nearly 250 kilometers of adaptive-friendly groomed trails. Morning Star Ranch has two indoor ski ergometers and an indoor and outdoor adaptive biathlon range. Athletes who train with the competitive program also have access to the Grand Park Community Recreation Center. This facility allows participants to supplement their on-snow training with strength workouts, an indoor pool and a ski ergometer. These elite facilities, along with world-class adaptive coaching and administration, will help each athlete achieve their highest potential as an adaptive ski racer. Are you already racing and competing? Do you want to take it to the next level? Do you want to train alongside Paralympic athletes in snowboard cross, alpine skiing and biathlon? Have fun meeting and working with professional athletes from around the world by joining the NSCD Competition Team. 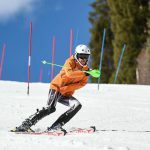 This Alpine ski racing camp includes Super Giant Slalom and Slalom training as well as fundamentals for intermediate to advanced Adaptive ski racers. In addition to on snow training, basic conditioning (dryland) will be included. Lodging, transportation and food will be the athlete’s responsibility. Scholarships available, please contact Erik Petersen [email protected] or 970-726-1548. Price: $300 per athlete, includes tickets and training fees. This Alpine ski racing camp includes Super Giant Slalom and Slalom training as well as fundamentals for intermediate to advanced Adaptive ski racers. In addition to on snow training, basic conditioning (dryland) will be included. Transportation to and from Oregon and food will be the athlete’s responsibility. Scholarships available, please contact Erik Petersen [email protected] or 970-726-1548. Price: $1200 per athlete, includes lodging, tickets, local transportation and training fees.